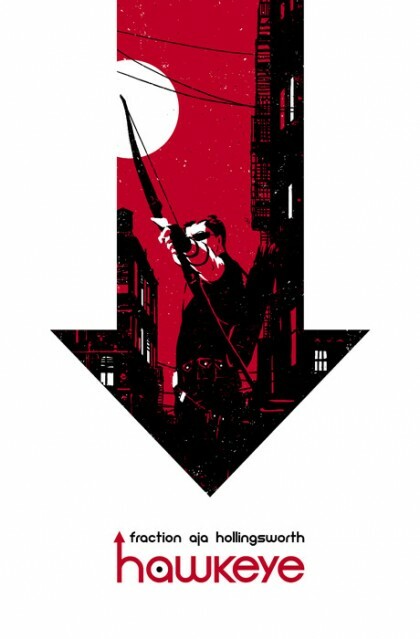 Favorite Superhero Book of 2012: I admit I am in the tank for Matt Fraction, David Aja, Javier Pulido and Matt Hollingsworth’s new Hawkeye comic series. It’s more 70’s action movie comic than superhero book so I kind of feel like I’m cheating by picking it in the superhero category. It’s a great book though and it stars an Avenger that everyone knows from comics and movies so I think it’s fair. Also, I just heard Jesse Hamm is drawing an issue or two in 2013 and that guy kills too so grab Hawkeye before it goes away like all things this good do. 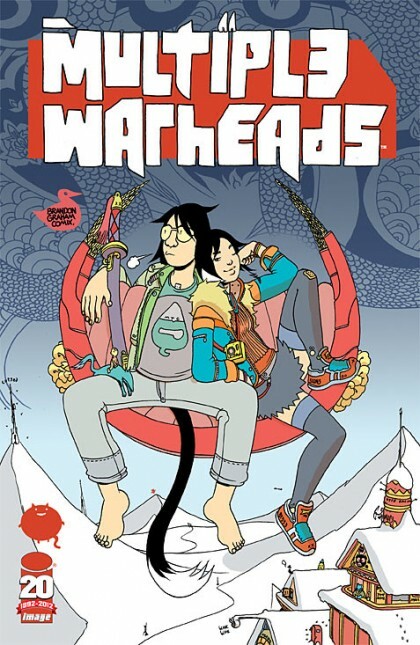 Favorite Non-Superhero Book of 2012: This is a hard choice for me with so many great comics like Fatale, BPRD, Saga, and more but Multiple Warheads by Brandon Graham is the comic I most look forward to reading each month. Favorite Original Graphic Novel of 2012: The Nao of Brown by Glyn Dillon is a masterpiece. I don’t understand how someone (Dillon) takes 10 years off from comics and comes back with this. He must have been practicing in his mind because this book is perfect. The juggling act pulled off in creating this book is worthy of applause. 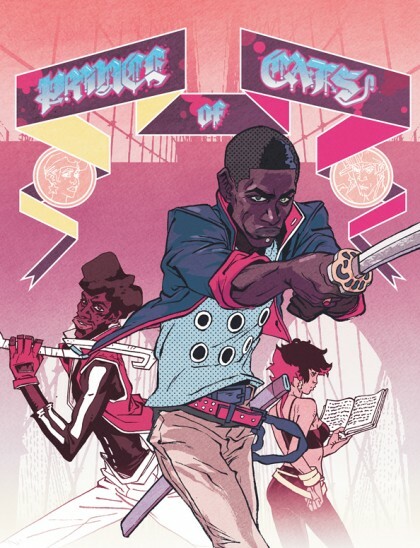 I have to mention Prince of Cats by Ronald Wimberly and Nelson by a cast of thousands (including Glyn Dillon again) which are also beautiful and brilliantly executed comics. If you’re looking for ambitious comics that deliver, all three of these fill the bill and belong on your bookshelf. Favorite All Ages Book of 2012: Comics publisher Boom! has been using a great and simple formula for their Adventure Time licensed comics. Pair great comic creators with a TV show they enjoy and you end up with a comic that I love as much as my 7 year-old daughter does. 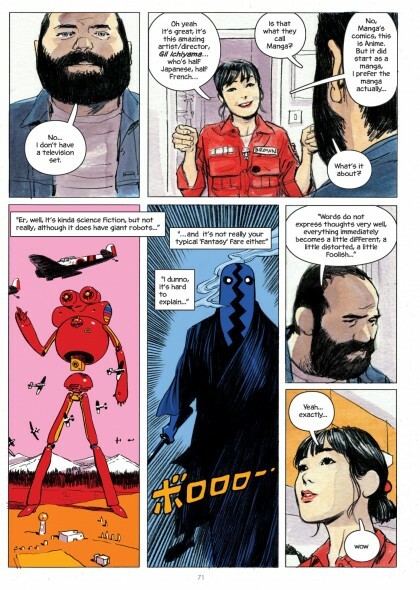 It has hilariously written stories by Ryan North beautifully illustrated by Shelli Paroline and Braden Lamb with great backups by Jim Rugg, Michael DeForge, Chris Eliopoulos, Becky Dreistadt just to name a few. 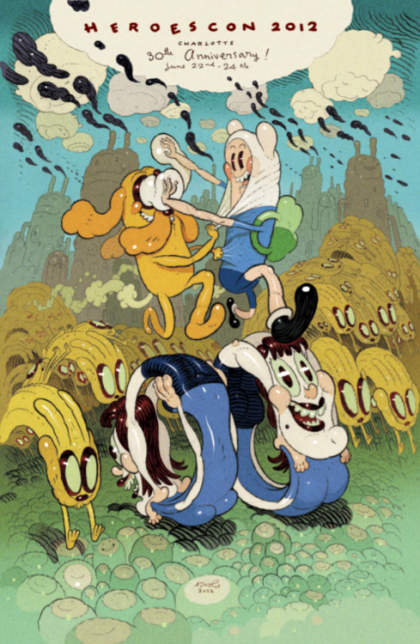 And check out that sweet HeroesCon 2012 Adventure Time #5 cover by my hero Dave Cooper (still a few left here!)! Favorite Art Book 2012: When I first discovered Michael Cho’s artwork all he’d ever draw was Bruce Lee and Iron Man. Many years have come and gone since then and Cho has published a few books here and there and done tons of illustration work but never a big collection of work, all in one place that I could proudly display on my coffee table. 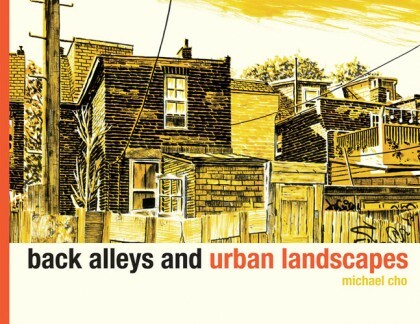 Cho changed that this year with Back Alleys and Urban Landscapes, a collection of drawings and paintings of Downtown Toronto done over the course of several years with this 80 page art book. 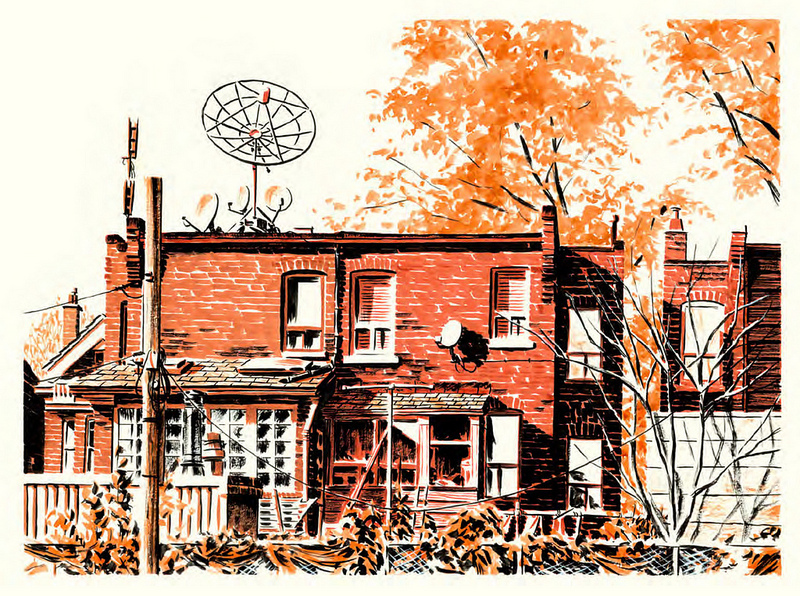 Check out more of Michael Cho’s gorgeous work here.